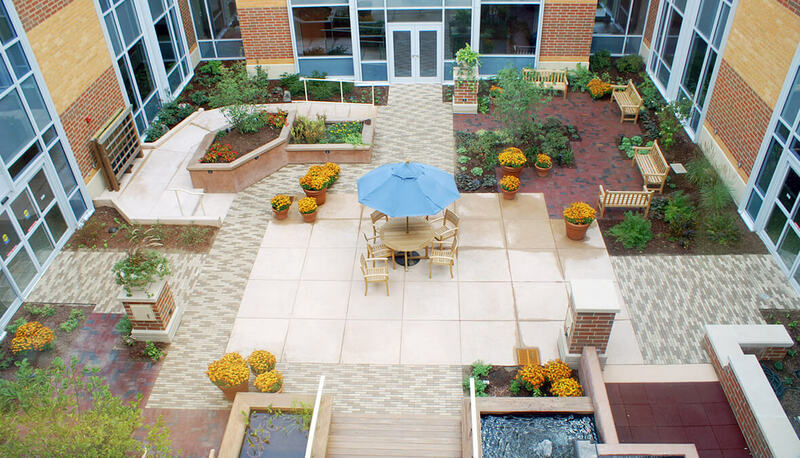 Hitchcock Design Group was commissioned by Marianjoy Rehabilitation Hospital to create an open-air courtyard located in the interior of the new expansion hospital. 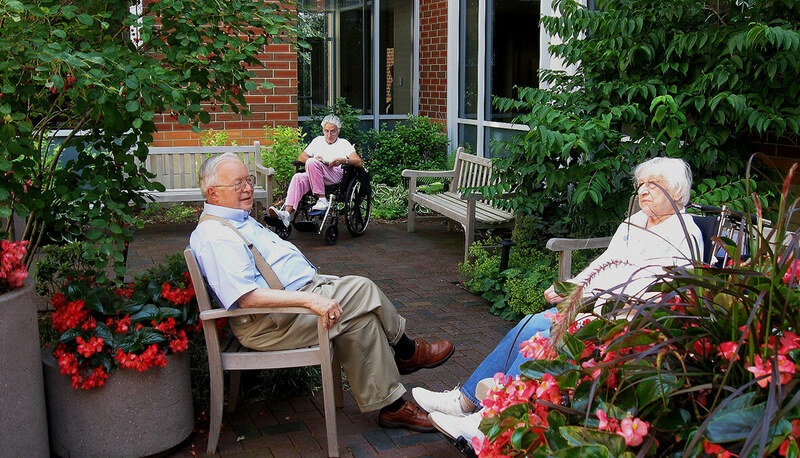 The courtyard serves a dual purpose as a space for both relaxation and rehabilitation. 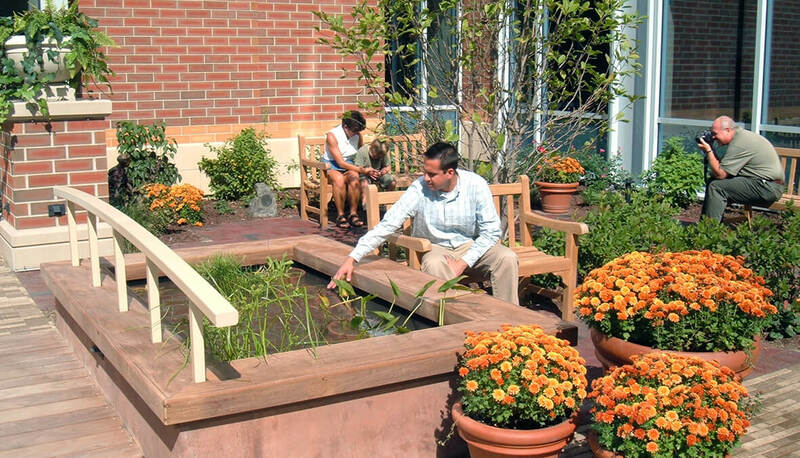 Patients are challenged through the incorporation of stairs, varying slopes and ramps, and handrails. 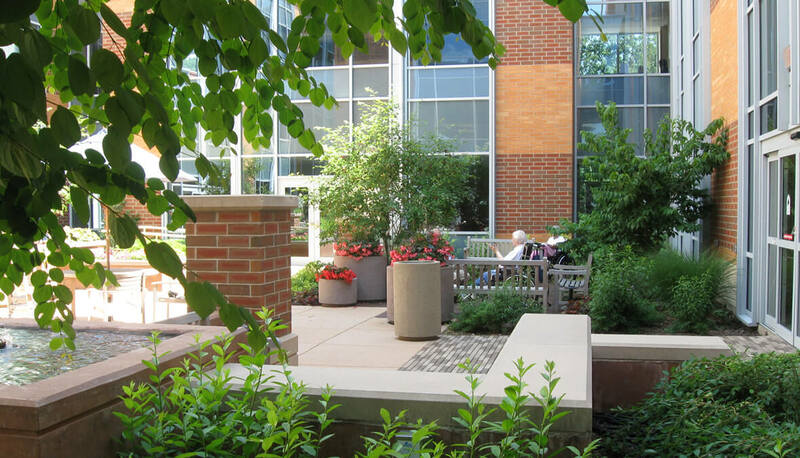 Raised planters and a vertical planting wall allow interaction with plant material. 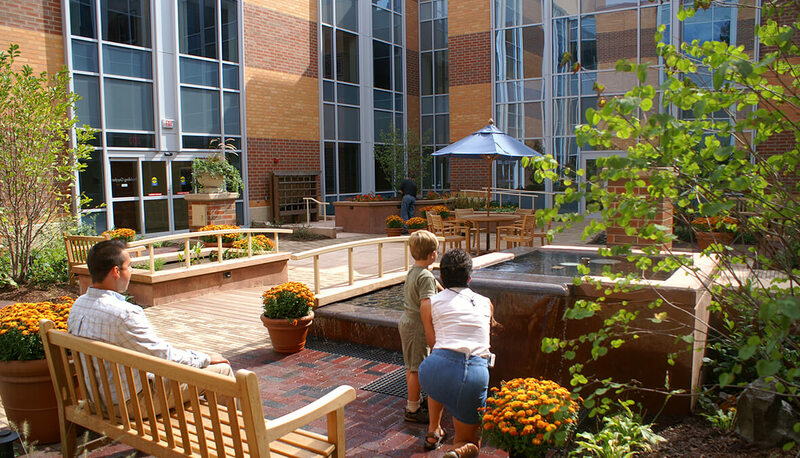 Hitchcock Design Group designed an interactive water feature to provide interest as well as soothing background noise within the courtyard which includes spaces for both large social gatherings and small group interactions.